Since 1966, Las Vegas based JBA Consulting Engineers has seized every change and major shift in the design and construction industry as an opportunity to evolve, reinvent itself and remain an active and innovative partner for its clients. 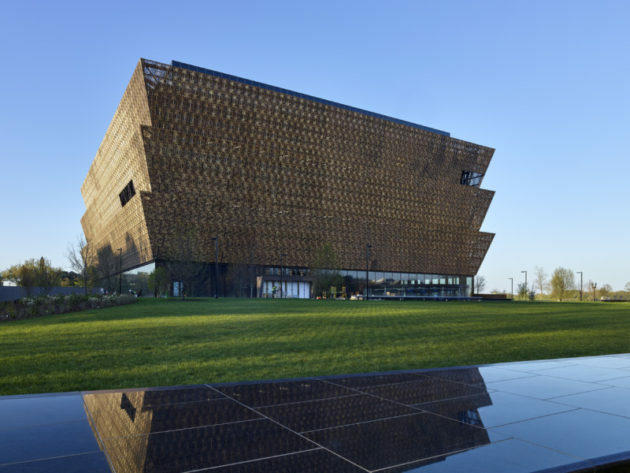 ABOVE PHOTO: The Smithsonian’s new National Museum of African American History and Culture in Washington, DC features exhibit lighting designed by Luce Group. As JBA continues to grow and diversify, the firm is excited about the momentum two of its divisions are having, Artistic Engineering and the recently acquired Luce Group. Artistic Engineering is the intersection where art and engineering meet. JBA’s Artistic Engineers orchestrate engineering and consulting needs, while bridging the gaps between the creative and architectural processes to ultimately, bring experiences to life. The mission is to provide technically innovative solutions that support the design and integration of theme parks, attractions, entertainment, museums, hospitality and retail. The unique strength and value to the client is the vast knowledge of five decades of traditional engineering design. JBA’s Artistic Engineering team announced earlier this year that attraction architect David Price – Founder of Price Leisure Group and son of Disney Legend Harrison “Buzz” Price – will serve as Executive Advisor to JBA’s CEO – Jim Gist – and the Artistic Engineering Group. Most recently, JBA acquired New York-based Luce Group. Luce specializes in exhibit, themed entertainment, architectural, and theatrical lighting design. Their work, which has been called “superb” by the Boston Globe, ranges from an award winning gallery at the Smithsonian Air and Space Museum to the recently completed Smithsonian Institution’s National Museum of African American History Culture, to colorful, cued environments in major science centers, to renovations of historic homes and buildings, to traditional art galleries.